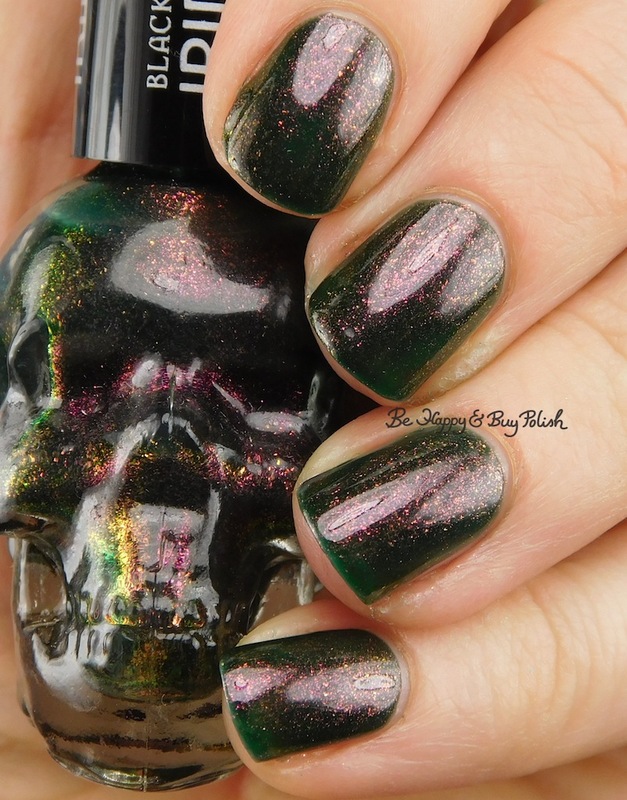 Blackheart Beauty Oil Slick Iridescent, 3 coats and no top coat. This is thin and runny! Watch how much polish gets on your brush before applying it. The shift in this polish i really beautiful. I really like it! I am not so sure on the skull bottles, though. Are they a pain to store? I did not experience staining, I had it on for 3 days, I think?